By Andrew Spore – Edited by Travis West [caption id="attachment_4410" align="alignleft" width="150"] Photo By: Nicolas Raymond - CC BY 2.0[/caption] Case C-435/12, ACI Adam BV v. Stichting de Thuiskopie (E.C.J. Apr. 10, 2014) Slip Opinion In response to an order issued by the European Court of Justice ("ECJ") on April 10, 2014, the Netherlands has banned the unauthorized downloading of copyrighted material, effective immediately. According to Techdirt, the Dutch government previously had allowed such downloading for personal use because it believed that such a policy was consistent with European Union copyright law. The ECJ held that the Dutch legislation, "which makes no distinction between private copies made from lawful sources and those made from counterfeited or pirated sources cannot be tolerated." ACI, slip op. at ¶ 37. According to ZDNet, EU copyright law allows member states to create legal exceptions to the exclusive reproduction right of copyright holders for the making of private copies, so long as fair and adequate compensation is paid to the rightsholders. Since 2003, the Dutch government has imposed a "personal copy fee," sometimes called a "piracy levy," on blank storage media to compensate revenue losses to copyright holders due to the pirating of protected materials. The levy, created to satisfy the EU private copying exception, imposes a five EUR fee on sales of all laptops, tablets, smartphones, and MP3 players, says Mashable. The ECJ ruling definitively establishes that the downloading of pirated material, even for personal use, is a violation of EU law. Further, the court found that the levy system itself is unlawful and unfair because under the system "all the users who purchase such equipment, devices and media are indirectly penalised . . . for the harm caused by reproductions for private use made from an unlawful source." Id. at ¶ 56. Though the current piracy levies are impermissible under the ECJ ruling, no immediate action has been taken to repeal the imposition of those fees. 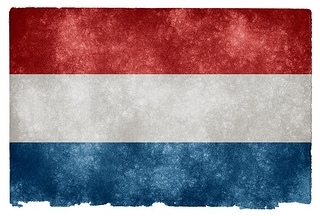 According to ZDNet, the Dutch parliament has indicated that it will investigate options for a new compensation system. PCWorld reports that the Dutch Ministry of Security and Justice has asked SONT, the organization that sets the levies, to determine which levies are still appropriate after the ruling. TorrentFreak speculates that copyright holders could be worse off if the piracy levy is abolished and increases in legal sales do not make up for the lost revenue. The case was brought by a number of electronics manufacturers and retailers against the Stichting de Thuiskopie (Home Copying Foundation), a non-profit organization established to collect the Dutch "piracy levies," reports Mashable. The Dutch Supreme Court then asked the ECJ for a ruling on the issue under EU law. 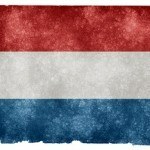 Following the release of the court’s decision, the Dutch Minister of Security and Justice announced on the same day that downloading copyrighted material for personal use would no longer be allowed in the Netherlands, effective immediately. According to Mashable, the Dutch anti-piracy foundation BREIN says that it will not begin going after individual downloaders, but instead intends to continue focusing on sites and services that upload and facilitate access to illegal material. Because the ban is civil in nature, infringers will not face criminal charges.